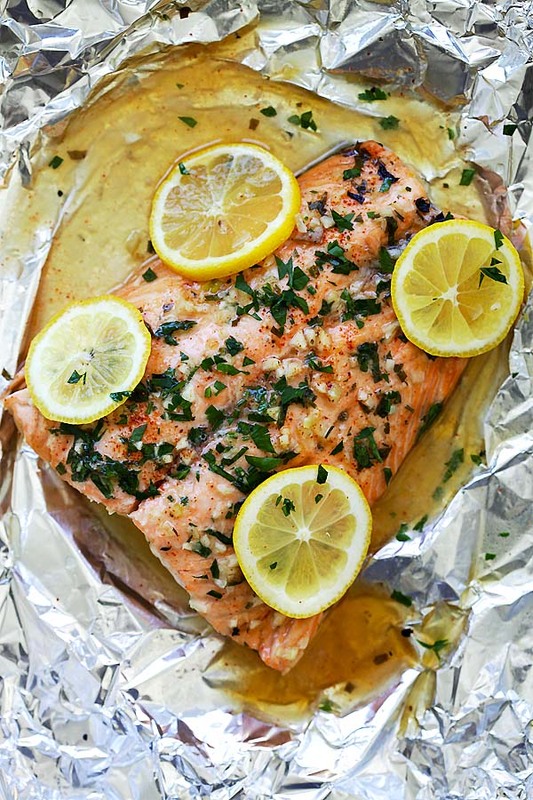 Garlic Lemon Butter Salmon - the easiest foil-wrapped salmon recipe ever with crazy delicious salmon in garlic lemon butter sauce. So good! We eat a lot of salmon in our home. 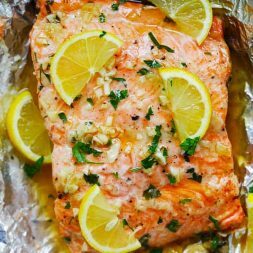 First of all, salmon is very accessible and secondly, it’s healthy and loaded with omega 3, a brain food which is great for little G.
Baked Salmon with Foil is the easiest way to cook salmon in the oven. 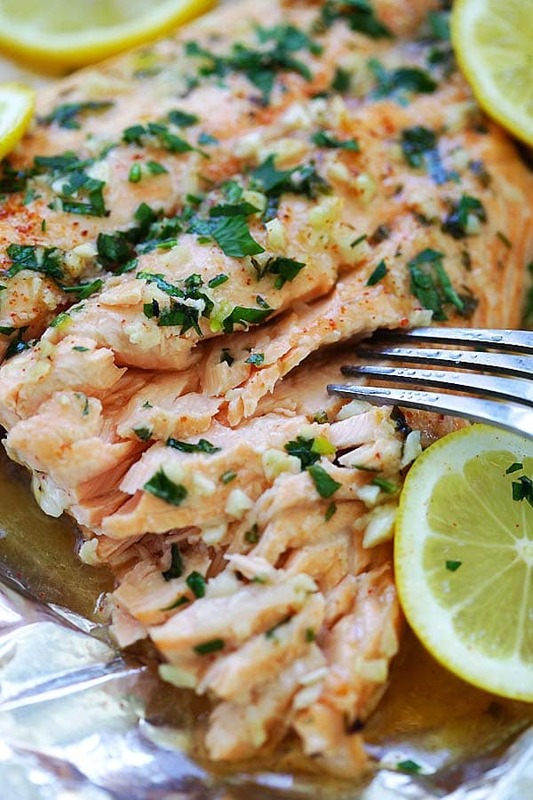 First of all, the salmon will remain moist, juicy and flavorful. Secondly, there is no dirty dish to clean. 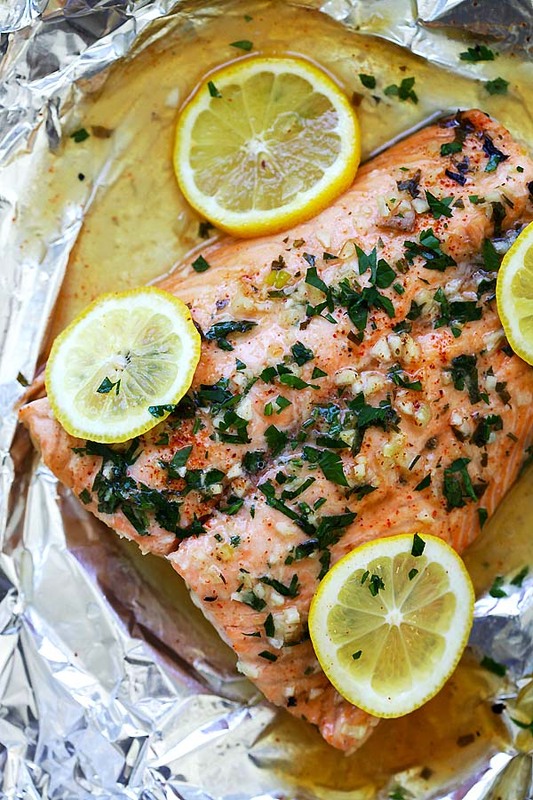 This foil-wrapped Garlic Lemon Butter Salmon has become one of my favorite recipes whenever I want a quick dish for dinner. There are many types of salmon in the market, wild caught, farmed, in different cuts. I always buy wild caught salmon if they are available. Even though farmed salmon is cheaper, there are reports about unethical farming of the dish. For this recipe, I chose a wild-caught salmon fillet which is not too thick. This ensures that the salmon cooks evenly in the oven. Garlic lemon butter sauce is an amazing sauce that you can make at home and it goes well with just about any protein. 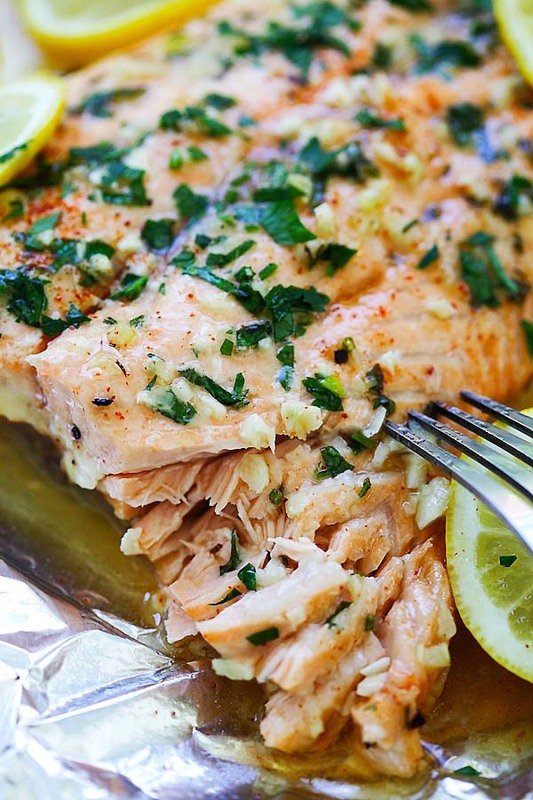 My version is sweetened with honey, making this salmon dish even more tantalizing. The best thing of all, the active time is 10 minutes and the oven is doing the rest! As salmon can be fishy, I like tomato-based side dishes that would help with the fishy after taste. Below please find my favorites.